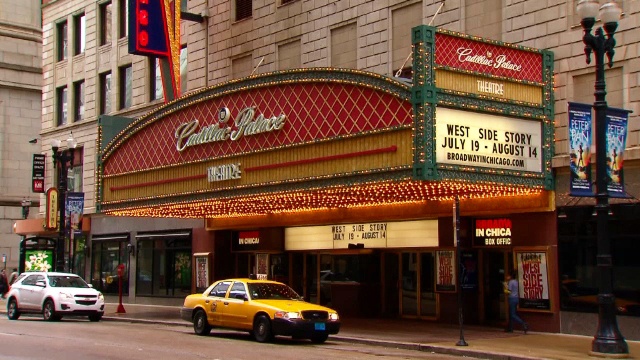 Controversial venue owner Erineo “Eddie” Carranza has given up the fight to maintain ownership of the embattled Congress Theater in Logan Square and has signed a contract for its sale to the developer of the swanky Cadillac Palace Theatre in the Loop, according to several sources familiar with the pending transaction. The 88-year-old, 4,500-capacity Congress Theater on Milwaukee Avenue has been under intense city scrutiny since January 2012, with numerous building code, liquor, and public safety violations resulting in its closure last spring. Since then, Carranza has vacillated between vowing to fight to bring the theater back as a vibrant community arts center and saying that the sale of the decaying building would be announced any minute, though to date no buyer has materialized. Carranza recently failed to appear at the last hearing appealing the revocation of the venue’s liquor license, adding to speculation that a sale was imminent. “There [were] many local and national developers who submitted an offer to purchase and operate the Congress Theater,” the owner wrote via email Sunday morning, repeating a statement he has made many times in recent months. However, Carranza then confirmed that a deal finally has been struck with Michael Moyer, best known for restoring to its full 1920s glory the Loop showplace now known as the Cadillac Palace Theatre. Formerly the Bismarck, but originally the New Palace Theatre, the 2,344-seat theater has been a key venue for Broadway in Chicago, and it is located only doors away from City Hall. Documents on file with the city reveal that Moyer has paid Carranza $500,000 in earnest money for the Congress Theater since August. But complicating the final sale of the Logan Square landmark are two conflicting legal claims against Carranza for the aging venue, which industry sources have said requires upwards of $20 million in repairs. The oldest claim is by Chicago music promoters Jam Productions, who secured a “memorandum of understanding” detailed here in exchange for a $200,000 loan in July 2007. Jam claims the memorandum gives it the right of first refusal over any deal by Carranza to sell the building or enter into a joint venture or partnership without Jam’s “express written consent,” a move originally intended to block any attempt by Carranza to sell the Congress to Jam’s archrival, giant national concert promoter Live Nation. Jam has experience with contentious legal fights over historic theaters: In 2008, it prevailed over Live Nation in a battle to purchase the similarly aging and troubled Uptown Theater. Jam has not yet succeeded in raising the substantial public and private funds needed to restore that venue, which has been plagued this winter by a monster icicle, as recently reported in The Chicago Tribune. The second claim against Carranza for the Congress is from React Presents, the upstart Chicago electronic dance music promoters now partnered with another national giant, SFX. They claim to have a letter of intent with Carranza signed last May giving them the first option to buy the Congress. Since the Congress has been shuttered by the city, React has partnered to purchase a smaller venue in Logan Square, the Concord Music Hall (formerly V Live), as well as renting out other established theaters and promoting shows at a club called the Mid on Halsted. Carranza will remain the owner of the Congress until those two claims are resolved, clearing the way for the sale to be completed, sources say. That process could take weeks, or it could take years. But the city is eager to see the Congress in the hands of a reputable developer—no one has been pushing harder for that than Logan Square Ald. Proco Joe Moreno—and Carranza seems eager to bid Logan Square farewell so that he can “start fresh” with his plans for another aging venue, the Portage Theater, about four miles northwest on Milwaukee Avenue at Six Corners. Carranza purchased the 93-year-old Portage, which has a capacity of 2,250, for about $3 million in September 2012, even as he was in the midst of Deleterious Impact/Public Nuisance hearings and other costly battles with the city at the Congress. So far, his progress in Portage Park has been slow, as he has fueded with Ald. John Arena and local community groups and spent time clearing out the tenants of the theater building and several other storefront properties that he purchased on the 4000 block of Milwaukee Avenue. 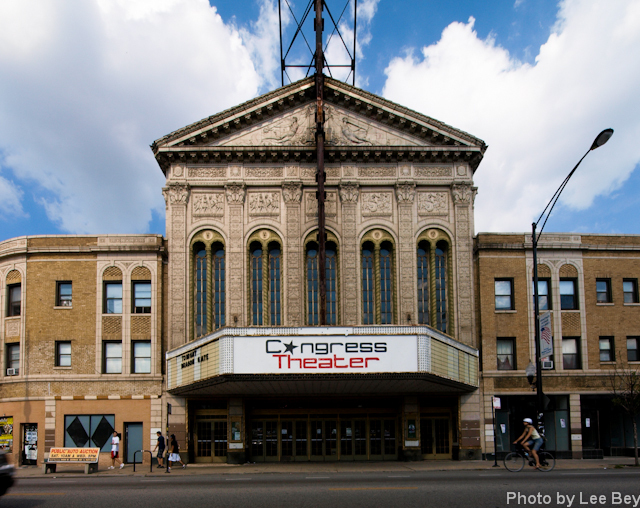 May 1, 2013: Is the Congress Theater safe or not?